Yesterday I met up for some lunch with the lovely Apple Charlotte in my hometown of Potters Bar. 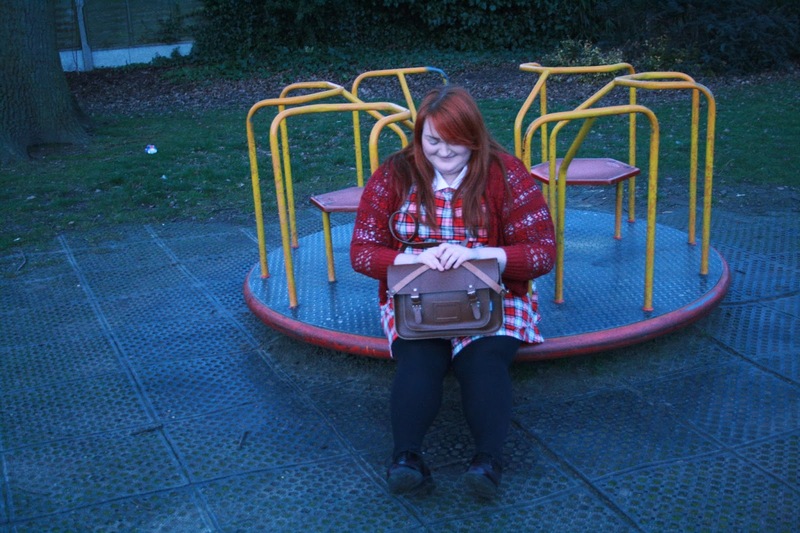 We went to the local park to get some pictures and then had a nice lunch at Harvester which we ended up getting refunded due to issues with all of the card machines, result! I love the two different floral parts of the dress which give it a quirky twist, the fabric is really nice too but doesn't have any stretch in it so you might have to size up. I love this scarf so much, the colours are beautiful and it's so lovely and soft! When we came out from Harvester, darkness was quickly upon us so I got some more spookier looking pictures! How cute does Charlotte look?! I hope you like this little park themed lookbook, let me know in the comments if you want to see more of these posts as it was so much fun to do.